Our purpose is to promote physical fitness, health and fellowship through distance running and to educate the public as to its benefits. To disseminate information on running through newsletters, booklets, clinics, meetings, handbooks, press releases and educational programs. 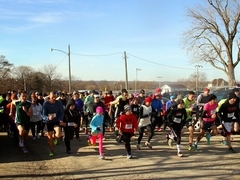 To engage in activities conducive to the encouragement of distance running, including race management, fund raising activities, race circuits, and charitable community activities.